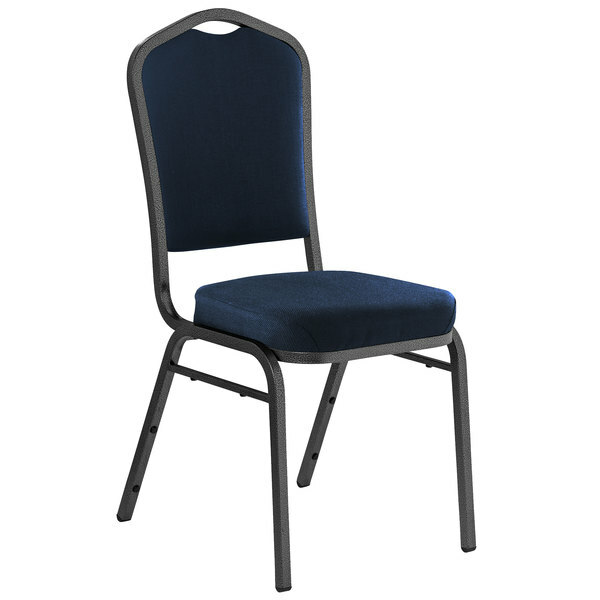 Introduce comfortable and convenient seating to your events with this National Public Seating 9354-SV midnight blue stackable chair with a 2" padded seat. Its midnight blue high density foam padded seat and back provide optimal comfort. In addition to excellent comfort, the fabric is easy to clean and makes for simple maintenance. The seat also boasts a waterfall edge to help promote circulation in your legs even during long events. An 18 gauge silvervein steel frame is designed with an underseat and H-brace for maximum support. 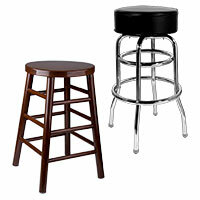 Plus, rocker glides on the bottom of the legs help protect floors from scuffs and scratches. Stacking bars and 12 plastic bumbers protect these chairs from wear and tear during storage. With an ample 300 lb. 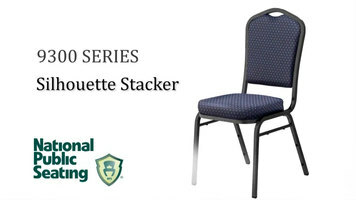 weight capacity, this stackable chair is the perfect choice for your next event!